CYGEN LABS August 2016: Stay Healthy & Balanced with PhytoGreens! We all know the importance of eating fresh fruits and vegetables. In an ideal world, we all consume three to seven servings daily. 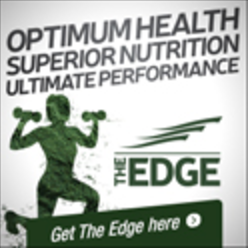 Busy lives, dieting and food sensitivities can make this challenging. There are no excuses and none needed with CYGEN’S PHYTO GREENS on the shelves! It’s a rainbow of nutrition in every scoop. All ingredients are brightly naturally colored compounds. Intense pigments indicate an abundance of protective properties. Healthy cells fight off cancer! 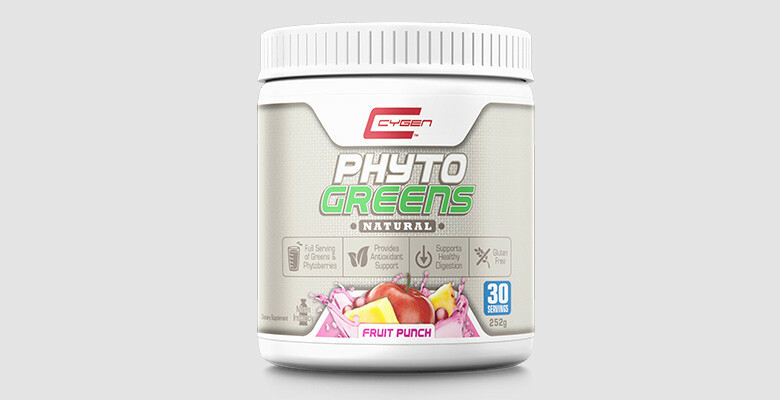 Each scoop of PHYTO GREENS contains a full serving of greens and phytonutrients! PHYTO GREENS is packed with gorgeous green powder forms of natural wonders! Spirulina is a type of bacteria called cyanobacterium or blue-green algae. It’s found in both fresh and salt water. Sound a little scary? Don’t be shy to try! It just may be the most nutrient-dense food ever discovered. Barley boasts a lot of benefits but cleansing, detoxing and cell regeneration top the list. Wheat grass shots are all the rage! To be honest, I’m happy having mine hidden inside tasty PHYTO GREENS. Vitamins, minerals, enzymes, anti-oxidants and amino acids give this grass the green light! It may have “wheat” in its name but it’s gluten free! Chlorella is a single celled micro-algae. This pint size powerhouse binds to heavy metals, pesticides and chemicals. It works overtime to rid tissues of toxins. Alfalfa isn’t just for farm animals! Alfalfa’s high calcium and iron content deserve a shout out! It also contains saponins which may slow cholesterol to the blood. Find it hard to eat your vegetables? No need to worry. Each scoop contains powdered versions of a few top childhood yuck foods! Spinach leaf contains iron, Vitamin K, C, A, B2 and B6 to name a few. Minerals such as zinc and manganese are also present. It’s no surprise why it’s always found on top 10 healthy food lists! Parsley leaf is not just for fresh breath! Just for starters, it’s rich in anti-oxidant vitamins such as Vitamin C and A but may be best known for high Vitamin K content. Beet root is linked to three D’s you need to avoid: Diabetes, Dementia and Digestive issues! Beet root shows promise for athletes, improving oxygenation to muscles during exercise. Carrot root overflows with beta-carotene, helping support immune system. It’s also a powerful anti-oxidant. CYGEN is bringing natural to the next level by adding everyone’s favorite fat! Flax seed powder is an essential fatty acid or EFA. This fabulous fiber helps support the digestive system. Keeping regular is key to overall health. CYGEN Labs added another fiber called Acacia. It’s linked to body fat loss! PHYTO GREENS is more than veggies and greens! Bee pollen is gathered by hard working honeybees. 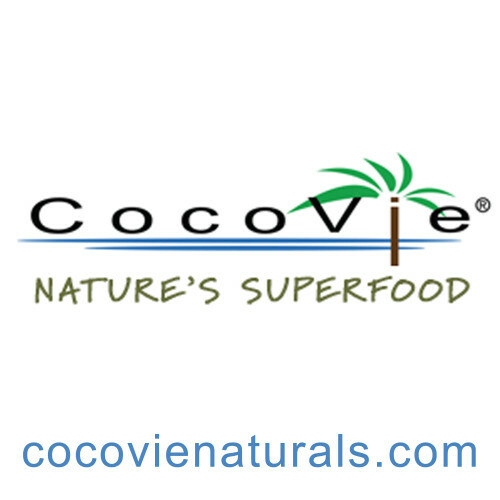 It’s high in protein, amino acids, vitamins, minerals and even digestive enhancing enzymes. It’s said to boost energy, support cardiovascular and prostate health while aiding respiratory system. Astralagus root comes from a type of bean or legume. Traditional Chinese medicine has used this adaptogenic herb for centuries to help restore balance. Astralagus supports healthy immune system and counters stress in the body. Siberian Ginseng is also an adaptogen, making it perfect for anyone who is feeling run down. Ginseng has long been used to increase mental alertness, physical performance and longevity. Green tree extract is not new! It’s well known for its metabolic increasing property. It’s a popular weight loss aid. Green tree extract is an excellent source of anti-oxidants. It may lower your risk of Alzheimer’s, Parkinson’s and Type 2 Diabetes. Grape seed extract comes from ground up seeds of red wine grapes. It may protect cells from free radical damage, reduce cholesterol and promote healthy cardiovascular system. 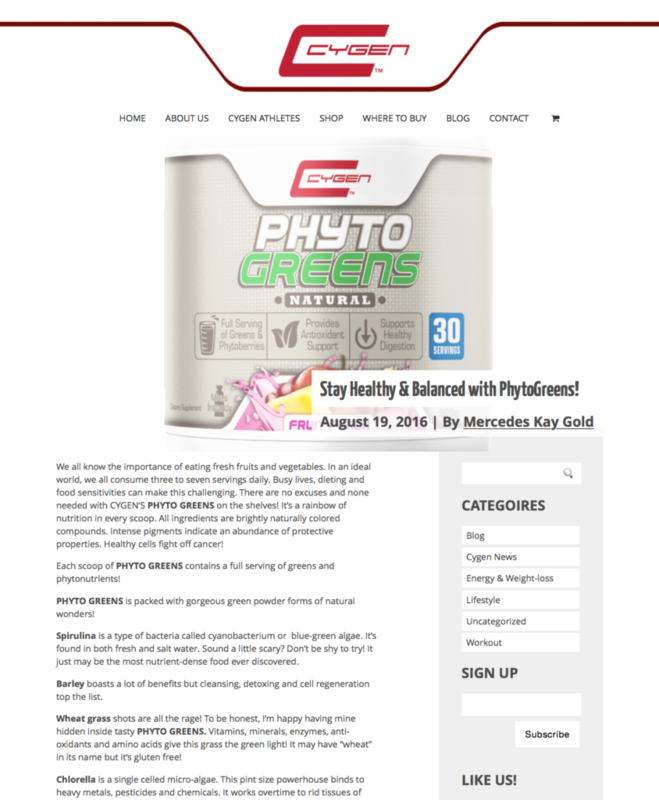 PHYTO GREENS goes crazy with fruit! The plethora of rainbow colored hues paints a beautiful portrait of overall health! Fruit contains fiber, vitamins, minerals and phytonutrients which nourish cells and fight off disease! We know an apple a day keeps the doctor away but luckily CYGEN included the whole fruit aisle!!! Check it out! Be in control of your health. Choosing PHYTO GREENS is an overall health booster! Adding one scoop to water, juice or smoothies is the quickest, tastiest and most affordable way to flood cells with nutrients. Liven up morning oatmeal with a scoop of orange or fruitpunch PHYTO GREENS today!